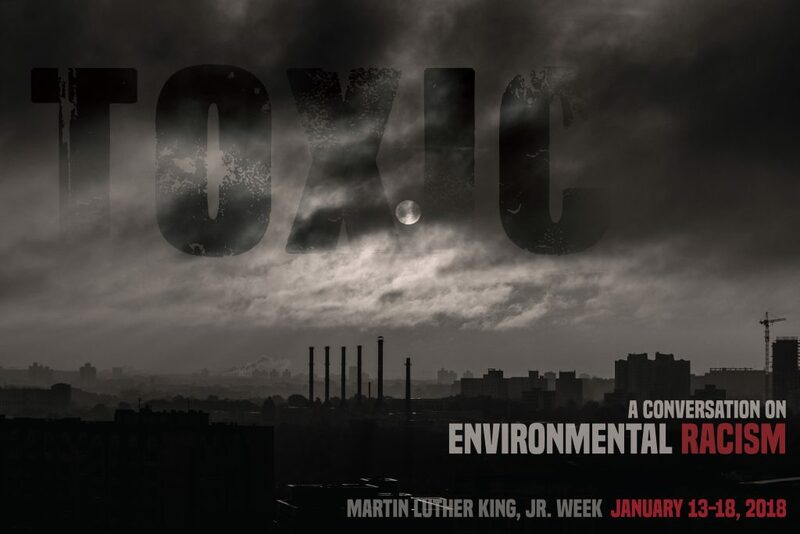 The 2018 Martin Luther King Week theme, “Toxic: A Conversation on Environmental Racism,” addresses the intentionality of systems and policies that regulate zoning laws, chemical and toxic waste, and access to natural resources in ways that disproportionately burden communities of color. Such systems serve to advance and cement inequities of social, economic, and political power. For a more in-depth look, the MLK Committee has invited three experts from across the nation for a panel conversation where they will share their research, perspectives and experiences with environmental racism and their work toward environmental justice. Tribal rights attorney and water protector, Tara Zhaabowekwe Houska (Couchiching First Nation), is the national campaigns director for Honor the Earth – a Native-led organization that creates awareness and support for Native environmental issues, and develop[s] needed financial and political resources for the survival of sustainable Native communities. During Bernie Sanders’ presidential campaign, Houska served as advisor for Native American policy. 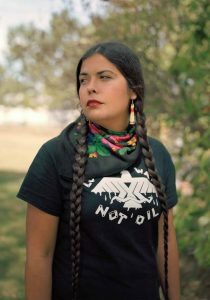 Houska has also been active in countering the Dakota access pipeline and assisting those who now face legal backlash due to their participation in the protests. 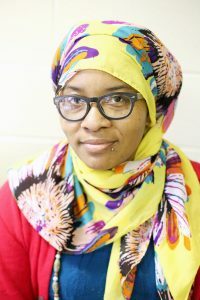 Grassroots organizer based in Flint, Michigan, Nayyirah Shariff, is a co-founder of the Flint Democracy Defense League – a grassroots group formed to confront Flint’s emergency manager in 2011. She is also the executive director for Flint Rising, a coalition of Flint residents and community groups, labor, and progressive allies. In October 2017, lifetime released the movie Flint, which describes the crisis in this city and features several of the women leading the movement – Shariff included. She has also been featured on Democracy Now!, Move to Amend podcast, Al-Jazeera and Netroots Nation speaking out about the problems with Flint’s water and with Michigan’s Emergency Management of local governments. Ivis Garcia Zambrana is an Assistant Professor in City and Metropolitan Planning (CMP) and Vice Chair of the Planning Commission in Salt Lake City. At CMP she works in close collaboration with the University Neighborhood Partners (UNP) and she is also affiliated with the Metropolitan Research Center (MRC). Her philosophy, methodology, and ethos revolves around conducting research and plans in partnership with stakeholders, being from the grassroots or from institutionalized forms of government. She has a long history of working with and for communities throughout the country. Specifically, by facilitating the integration of racialized and ethnic groups into planning democratic processes. Her most recent theoretical studies have sought to elucidate currently existing as well as historic relationships between market typologies, the structured dynamics of housing stratification and distribution, and community development strategies in diverse (primarily Latino) communities. Her work has implications pertaining to the problems of uneven development, the role of the state in the formation and maintenance of market-economies, grassroots organizing, and housing policy more generally.